Shirdi Sai Baba statue in sitting pose wearing traditional clothes. In Hindu religion, it is believed Saibaba was very kind hearted God to his devotees. Many devotees believe that Saibaba was a Sadguru (Sufi saint). Buy Colorful Sadguru Shirdi Sai baba Idol in Sitting Pose, sold & shipped by Yaadein where you can shop online for Pooja Samagri, Hindu Statues, Puja Items, Religious Gifts & Home Decor. 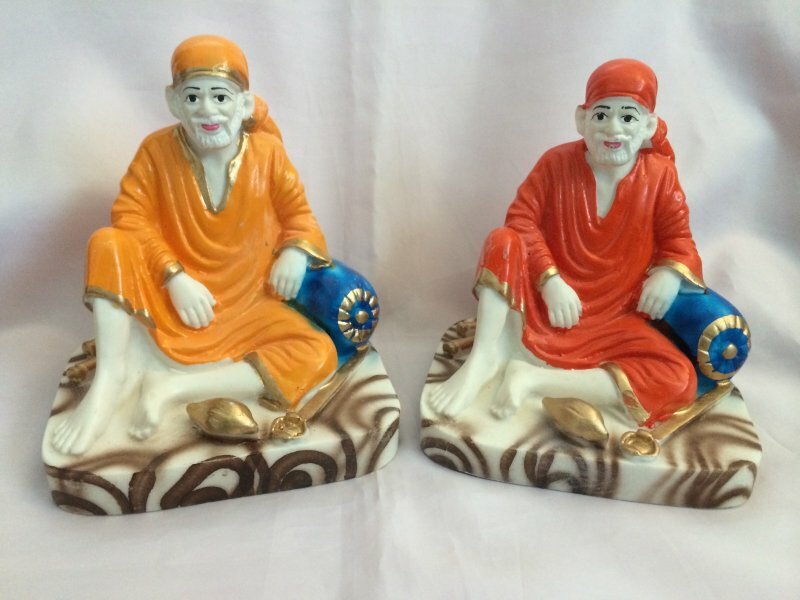 This Idols & Statues collection has been tagged as Indian Handicrafts, Saint Sai Statue, Religious Gift Item, Hindu Religion, Home Decor, Hindu Deity.